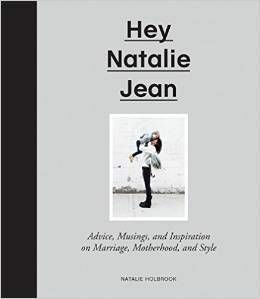 HEY NATALIE JEAN: stuff to do in the city: martha! :: UPDATED! in my experience, if you're coming to new york for a visit and you want to see some live tapings, do see jimmy fallon, do see david letterman, don't see nate berkus whatever you do, and please, pretty please, definitely see martha stewart. at the nate berkus show, you get there, stand in line for an hour, sit in a weird room for another hour, finally get into the studio, only to find out that what takes under an hour for others to tape will take nate two. i found this out only after i asked half the stage hands and finally the director. four hours is not really an acceptable amount of time to expect of a studio audience if your studio audience is nursing. so, for a visitor to the city who has a limited amount of time to see everything, it's just not a great use of your time. unless you really, really, REALLY love nate. nate is darling, and he does a fantastic job. his team could use some martha-action, however. lastly, to my anonymous commenter: you're right. nate is both prettier and more substantive than me. he's also a lot taller. them's the breaks. Why no Nate Berkus? You can't leave me hanging! I'm curious about that, too. Wait, that's your mom right? Because y'all look like sisters! No way! Is it because Nate is prettier than you and has more substance? We're coming to the US (& NYC) in June/July and now my husband is going to be SO excited to see Martha! (acutally very un-excited) I didn't even know you could go to her taping! YAY! Hey-ohh!! So much fun!! I wish I had seen Jimmy when I visited there. He's my fave. You, girl, are so darling! I am glad to hear that David is good. I went through a phase of watching him every night when I was in my teens. That "anonymous" comment was super rude. No once forces you to read her blog, so please find another place for your negativity. Nat, you are lovely and have tons of substance. jealous. JEALOUS. the hubs and i saw david letterman and froze to death. besides that, it was awesome. OK. Yup. Lot's of fun doin' those shows, and of course, all the good eats. You MUST--must, i say-- (i've shared this before, here, i think. yeah, i did) do the double-decker bus tour. Sitting on the upper deck, of course. You get to see the city in a whole new way. Especially the lower Manhattan loop. So many cool architectural details. Birds-eye view. SO MUCH BETTER than trying to drive around or walk around or take the "normal" bus around to see the city. Just make sure you do what they say: look out for the traffic lights! Today would be perfect weather for it. And, it's hop on hop off, so you can make a whole day of it if you want...i just wanted to keep riding. Thanks for the update, Nat - good info to know. You went to the epicenter of Martha's power - I bet your eyelashes grew back TRIPLE their original length!! And thanks for the return of the rude commentary, Anonymous - things have been just too pleasant here without you. ugh. oh, anonymous. i just love that girl/guy/creature. sometimes he/she/it graces me with her/his/its presence too. looooove it.